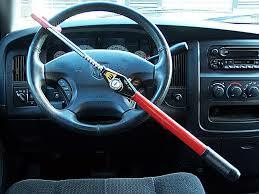 We can immobilize vehicles on the offender’s property by utilizing either “club” or “boot” devices. In the State of Michigan, motorists repeatedly convicted of violations for driving while intoxicated can have the use of their vehicle suspended through the process of temporary immobilization. Being that vehicle immobilization is commonly applied in the same location where the vehicle is usually housed, unless the vehicle is parked illegally and is awaiting a tow, the monetary cost imposed upon the vehicle’s owner is less in comparison to other vehicle disablement processes. Tampering with or removal of the disabling device would be considered a violation of the court’s order and could result in the offender being held in contempt of court-a violation for which an arrest warrant would likely be issued.